This is not your usual tote! This crochet French market bag is a very strong bag, it’s durable, lightweight and expandable! With a construction a little unconventional, this intermediate level crochet pattern is designed to fit your goodies from the farmers’ market, your beach essentials, or a few bushels of wildflowers. French Market Bag by Alexandra Tavel is a fairly easy and quick pattern to complete and a great bag. It opens really wide and holds a lot of stuff. It really is the perfect gift for anyone on your list this year! 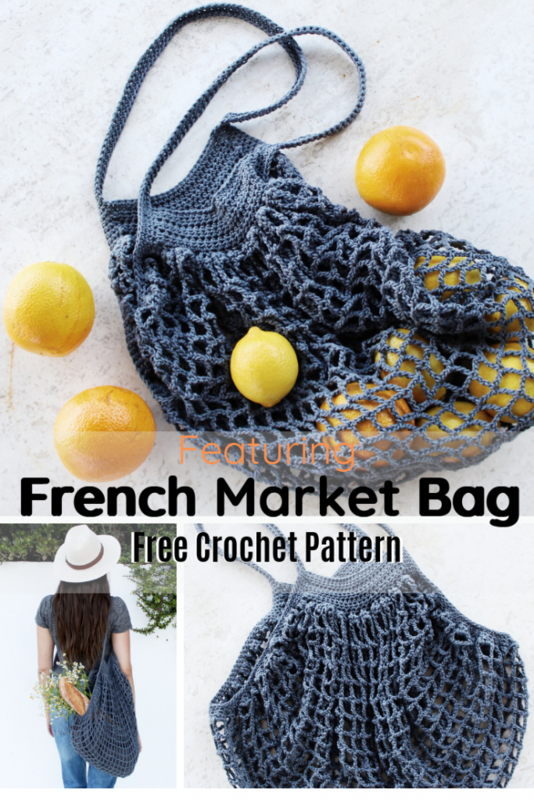 Get the pattern: Crochet French Market Bag Free Pattern. [Video Tutorial] This Baby Chevron Cardigan Free Crochet Pattern Will Make Your Day!